Product Liability: Dangerous ready to eat salad kits that may kill you! Fear of possible Listeria Contamination prompted several companies to recall their ready to eat salad kits as the Center for Disease Control and Prevention and the U.S. Department of Agriculture and the Food and Drug Administration are working together to monitor and prevent potential Listeria-related illnesses. In a previous blog we announced that Milwaukee-based Garden-Fresh Foods Inc had recalled close to 100,000 pounds of food in September and October. Last week the FDA issued a third class I recall for the company that included an additional 103,080 pounds of products. A food safety assessment at the facility following the initial recall, indicated that additional products may have been contaminated due to harborage of Listeria monocytogenes within the facility. Another Class I recall was issued on October 29 for Taylor Farms Maryland and Taylor Farms Texas. Approximately 22,849 pounds of broccoli salad kit products were recalled due to concerns about possible Listeria contamination in the salad dressing. On October 26, a second Class I recall prompted Oregon-based Reser’s Fine Foods to expand its initial recall of coleslaw, potato salad and pimento spread, among other packaged food items, because of potential listeria contamination. 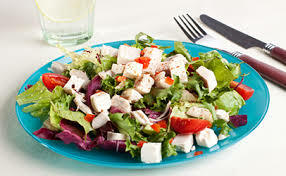 The day before, Boston Salads and Provisions Company also recalled approximately 222,959 pounds of ready-to-eat chicken salad products due to possible contamination with Listeria monocytogenes.